It’s no secret that B2C companies have been quicker to embrace technological business innovations than their B2B counterparts in the past few decades. Perhaps the clearest example of this is eCommerce adoption. B2C retailers were first to realize the promise of online ordering, with many B2B manufacturers and suppliers trailing nearly 10 years behind. B2B suppliers long held the position that in-person sales would always be king, but, as buyer expectations changed over time, B2B eCommerce has become more prevalent and, in many ways, necessary. This newfound confidence in eCommerce is largely attributed the to the success of online ordering in the B2C sector. Yet, despite predictions that eCommerce would eventually make B2C brick-and-mortar stores obsolete, doors still remain open to shoppers. In fact, the industry giant known for making eCommerce mainstream in the B2C world seems to be opening a new brick-and-mortar store every day. For wholesale distributors and manufacturers that are just now embracing an online B2B storefront, this B2C trend back to brick-and-mortar stores might shake their confidence in eCommerce. Does this mean that in-person sales are king, after all? No. But this trend does tell us that there is still something about the in-store shopping experience that people crave. For suppliers looking to optimize a B2B storefront for modern buyers, there is a lot to learn from the enduring success of B2C brick-and-mortar stores. It’s important for B2B suppliers to understand why in-person sales in brick-and-mortar stores are continuing to thrive, so they can equip their online B2B storefronts with the features necessary to compete. Buyers purchase with their senses. Physical stores that attract consumers know this. They use bright colors and interesting layouts to position their products in the best light possible. Buyers appreciate the opportunity to see products in person before they buy, and a brick-and-mortar store makes this process simple and easy. ‍The B2B storefront answer: Knowing that buyers want a sensory purchasing experience, suppliers implementing B2B storefronts should seek to emulate brick-and-mortar-type digital environments. Customized color schemes, branded fonts, image-rich digital catalogs and an intuitive, seamless user interface will help your B2B storefront reach this end for your buyers. They’re interactive and personal. Any successful brick-and-mortar operation knows that customer service is crucial. Consumers want to feel important, and a friendly greeting coupled with helpful shopping advice and a positive attitude makes them all the more excited to purchase. The B2B storefront answer: Use your B2B storefront to personalize the buyer experience from the login screen, all the way through to checkout. When buyers log in to your B2B storefront, say “Hi” and call them by name. Set up custom catalogs that are tailored to display the product and pricing information meant specifically for their account. Offer them a chat option to speak with a customer service or sales representative. Suggest new items that are in line with their past purchases, and say “Thank you” as they exit your online store. Modern B2B storefronts require this type of personal touch to meet evolving buyer preferences. ‍Brick-and-mortar stores have adapted to digital trends. Part of the reason why physical stores have been able to keep up with eCommerce platforms is because they’ve learned to play by the new rules. The best brick-and-mortar stores use technology to enhance the consumer buying process. Many stores allow consumers to check product availability online before they even enter a store. Others provide apps that are designed to help consumers navigate particularly large store layouts. Some brick-and-mortar stores are even beginning to offer augmented reality experiences that help customers truly envision the benefits of a product they’re considering to purchase. Rather than allowing the internet, mobile technology and eCommerce to age the brick-and-mortar business model, smart companies have learned to grow with the times. The B2B storefront answer: Flexibility and willingness to disrupt the status quo is what sets B2B suppliers apart from one another. It’s now time for digital B2B storefronts to adapt to brick-and-mortar trends. 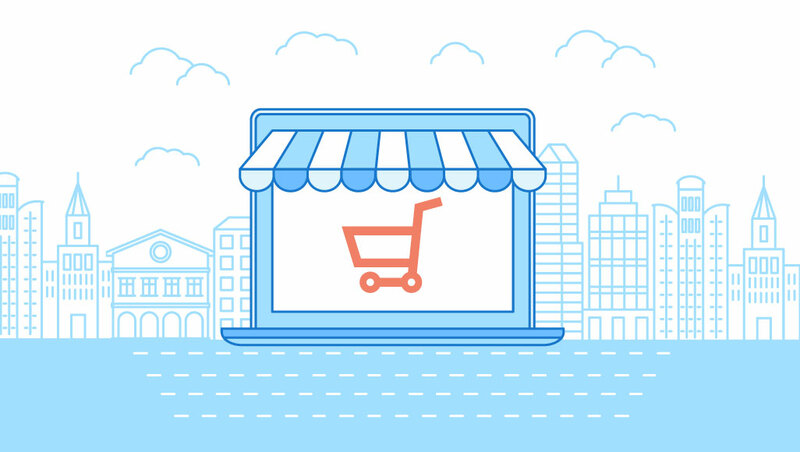 While the B2B world has been slow to accept eCommerce, and many opportunities have been lost because of it, companies launching B2B storefronts for the first time are actually experiencing a rare advantage today. This is because they can spend their resources more wisely and avoid implementing eCommerce solutions that fall short of buyer standards. Suppliers attempting to patch-work old B2B eCommerce solutions, such as ERP extensions and custom-built software, will find the update process to be difficult, expensive and unpractical. Starting from scratch with B2B storefront built to meet modern buyer demands will give suppliers a leg up on the competition. For many manufacturers and distributors, maintaining a physical location to sell goods may never be a part of their strategies. The far-reaching capabilities of B2B eCommerce to reach new markets, sell more products and automate mundane processes (all while keeping overhead manageable), continues to position online ordering as the choice method for B2B. Knowing this, suppliers still cannot ignore the needs of their buyers. B2B storefronts must provide a seamless user-experience that replicates, and even improves upon, the features of brick-and-mortar stores that buyers have developed an affinity toward in their consumer lives. To discover how Handshake can help your B2B company become a supplier of choice with an optimized B2B storefront online, schedule a 10-minute call with a Handshake specialist today.